For the most part, we clean with just water & a Norwex cloth, but occasionally you may find you need just a little something extra… that’s what the Norwex specialty cleaners are for! Online Norwex Sign-up available now! 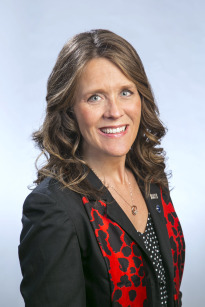 Becoming a Norwex consultant just got easier! Are you ready to make a difference in your life, as well as the lives of so many others? It’s easy- you may go to my Norwex website, sonyaeckel.norwex.com, click on “Join Us” & then “Sign Up Now”. Once you’re registered, you’ll receive your Consultant ID# & Norwex will send you your Starter Kit without any upfront cost and as long as you have at least $2000 in sales in your first 90 days, you never pay a dime for it!! Pretty sweet!! And be sure to look at our getting started bonus offers that end on March 31st. Such a generous company who invests in YOUR success!! If it’s past March 31 when you’re reading this, give me a call to find out what sign-up bonus you’re eligible for! saddles or anything else made of leather (but not recommended for suede leather). It’s made with pure bee wax (so it smells a bit like honey! ), carnauba wax, & lanoline. It actually penetrates leather to restore natural oils, helps to waterproof it (the lanolin helps with this), & moisturizes and protects. 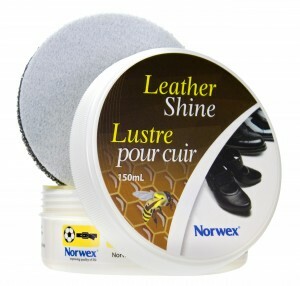 The Norwex Leather Shine can also be used on rubber and hard plastic to restore luster (i.e. car tires). How to use it: Dab the sponge onto the balm and apply sparingly – a little goes a long way! Apply to the surface with the black pad and then polish with the white pad until glossy. REMEMBER: use it only for smooth leather, NOT on suede leather. Of course, nothing beats before & after photos! Check out theses results! 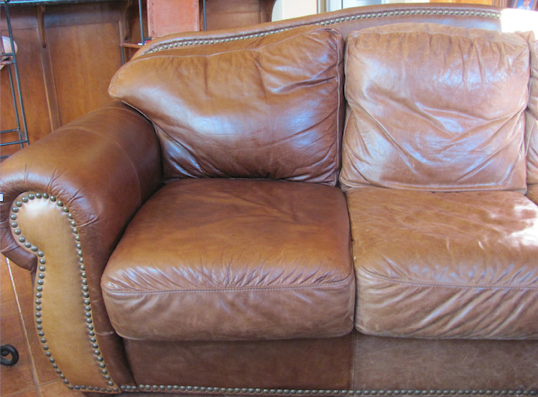 Here is a photo of my sister, Shari’s, leather couch- I’m going to let you guess which cushions she cleaned using the Norwex Leather Shine! 🙂 What a fantastic product! 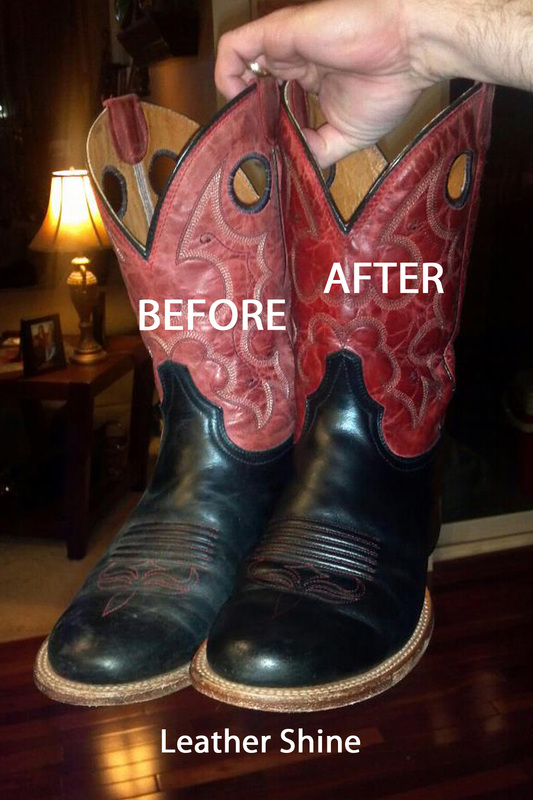 Photo shared by Lisa B., Cedar Rapids, IA- not only are these the cutest cowboy boots ever, it’s amazing what a difference the Leather Shine made! The one on the right looks like new! 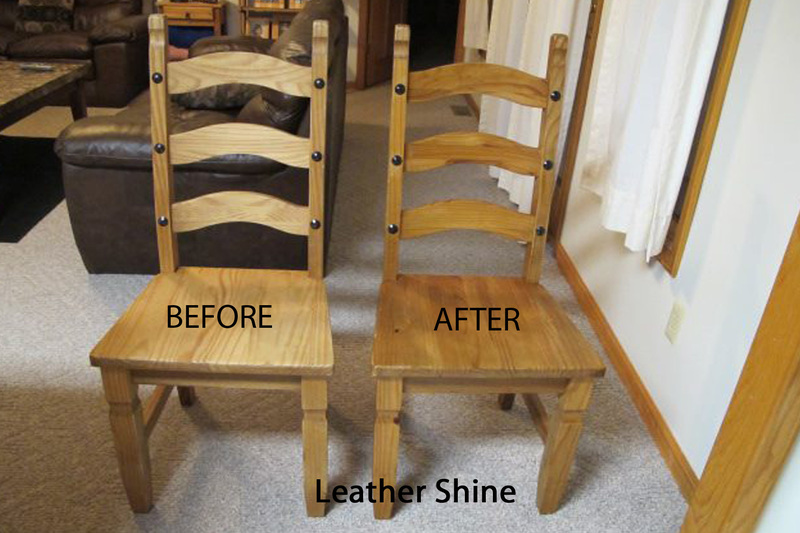 So you’re getting the idea of how rejuvenating, hydrating, and protective the Norwex Leather Shine is on LEATHER… now wait till you see some of the before and after photos after using it to re-hydrate wood! Thanks to Cindy M (Illinois)! We are loving the results on wood surfaces, too! (As with all Norwex products, we recommend that you always try it in an inconspicuous area first if in doubt.) 🙂 Call me today to order your Norwex leather polish! Our Norwex Cleaning Paste is a fantastic non-toxic cleaner that provides mild, chemical-free abrasion to polish, sine, and clean. Just today I was cleaning our basement laundry sink- which I’ve tried many times to clean, but hadn’t yet tried the Norwex Cleaning Paste, Kitchen Scrub Cloth, and Spirinetts. Now let me tell you, this sink has been extremely well-used over the years!! Paint. Caulk. Grime. Hard-water build-up. Not too pretty. So, I’m going to input a photo of what I accomplished in a short time with the Cleaning Paste, Kitchen Scrub Cloth, and Spirinetts. And around the faucet, I used the DeScaler to cut through some of the hard-water deposits. A bit more about the Norwex Cleaning Paste. It is definitely one of our most popular cleaning products. One of my favorite things is that I can identify & pronounce all four of the ingredients: Marble Flour, Chalk, Natural Soap, Traces of Coconut Oil. The cleaning paste will replace your Ajax, Comet, SoftScrub, and other chemical abrasive cleaners. It polishes, cleans, and protects! It’s great to use on plastic, stainless steel, aluminum, porcelain, tile, painted surfaces, enamel, chrome, coffee pots, glassware and food storage products. It is NOT recommended for cleaning brass, silver, and acrylic. NOTE: The cleaning paste is extremely gentle, but it is still mildly abrasive. While it’s safe to use on most surfaces, as with all of our cleaning products, Norwex recommends you first test an inconspicuous area if you are concerned about the possibility of scratching. The Cleaning Paste becomes a “paste” once you have rubbed your wet Enviro, Kitchen Cloth, Spirisponge (or whatever cloth you are using with it) on the compact “chunk” in the container. It is not liquid or powder, but rather is hard and compact in the container. I find that it lasts a *very* long time, making it not only a safe & effective cleaning option, but also a very economical choice ($28.99 for a canister that will last you a LONG time)!! Once you have accumulated the product on your cloth, clean & polish the surface. Then collect any residual Cleaning Paste by going over it with an Enviro cloth and a Polishing Cloth to leave a streak-free, beautifully polished surface. I find it’s great for built-up soap scum, rust stains, tile, and some hard water stains in bathrooms (although this is where the Norwex DeScaler really shines!!). In the kitchen, I love mine to polish up stainless steel or white/ beige sinks and faucets. I also have many customers who absolutely love it for their smooth-top stoves. (To clean my flat-top stove, I use the Cleaning Paste with the Kitchen Scrub Cloth and it works great!) PLEASE NOTE: Although I have many customers who love the paste for their stovetops, Candi Bezte mentions below that it may be too abrasive for some of the new enamel or ceramic stove tops, so ALWAYS be sure to test a small inconspicuous area first! It really is amazing how well the Cleaning Paste works! It gets the worst scuffs/marks off fiberglass tubs, marks off vinyl flooring, or that permanent ink that mysteriously may get on the kitchen counter! It will take rust out of stainless steel sinks and off plastic dishwasher walls, and even remove permanent ink off white board. 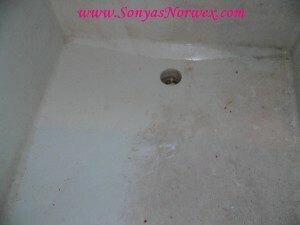 It is fantastic for those “normal” cleaning jobs such as getting the soap scum out of your tub or shower. Considering you need to use so little…one container of Cleaning Paste really goes a long way! It is nice to use a cleaning product that is not a liquid (eliminating possibility of inhaling while using) – just a damp Envirocloth, a small dab of paste, and you’re good to go! How does this amazing product work? It contains some soaps and a very small amount of sodium laureth sulphate combined with marble fl our and chalk (calcium carbonate) which result in a very slightly abrasive product that has the ability to also remove grease. The majority of the work is simply the result of very mild abrasion – similar to the Micro Pad. The paste basically functions like ultrasuperfine sandpaper, with a bit of soap added to it. CAUTION: Since the Cleaning Paste is mildly abrasive, always test in an inconspicuous spot before using. Not recommended for use on acrylic surfaces, brushed stainless steel, the new enameled or ceramic stovetops or other delicate surfaces. The Cleaning Paste is a physical scrubber and is not intended to be an everyday use product; it is intended only for stains and marks that do NOT come off with regular soap and water or the Enviro and water! DeScaler has been improved- same effective formula, but clear color! Norwex DeScaler is now improved! It contains the same basic ingredients it always has: Water, orange extract, sodium gluconate, glutamic acid, and glucuronic acid; however, it is no longer colored. It does not stain, and works as quickly as before. and rust from the shower. While the bad spots in the shower may take a couple of treatments, there should be noticeable improvement after each use. spots, and/or result in a whitish crust forming on shower, bath, sink, toilet and tap surfaces etc (this buildup may appear orange in color if the water is also high in iron). Scale is not black in color and is not another word for mold – so no, this product will not likely be effective to kill or remove mold from surfaces. Sonya here: I posted earlier about the DeScaler (http://norwexsimplyclean.com/norwex-descaler-revie/) and what an incredible product I find it to be. However, the brownish color was a put-off for some people. So once again, I commend Norwex for meeting the need, making the necessary adjustments to create a clear-colored product! Here are some great tips! I’ve been amazed by the Norwex dish cloth and microfiber cloths because I can use them longer between laundering without them starting to stink. The silver agent in the fibers is absolutely incredible at keeping the bacteria-count low. However, if you have experienced some stink issues with your cloths, please read on for some helpful hints. 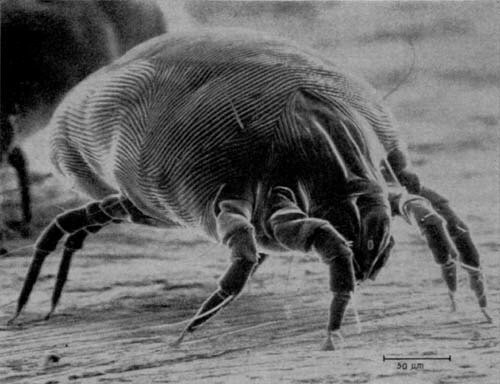 With any cloth that has developed an odor in which normal laundry washing does not fully remove: rinse in vinegar, then boil the cloth(s) in a pot on the stove for 10 minutes to thoroughly allow the fibers to swell open and release anything they are holding onto including anything coating the silver, making it ineffective against killing bacteria or organisms and allowing odors to occur. Then launder as normal and the cloths will be fresh. I find that I need to boil one or two of my cloths occasionally…usually it’s my own fault as I’ve washed dishes with an incorrect cloth and allowed the silver to be coated in oils that are in dirty dish water, or haven’t rinsed out my cloth well after cleaning before hanging it to dry. Another thing to note: when the Face Cloth is used to cleanse oily skin, it may need to be soaked in vinegar & laundered more often. As it collects the oil from the skin, it will coat the silver in the fiber, making the antimicrobial properties ineffective. When this happens, the bacteria can thrive. Be sure to RINSE OUT your cloths well, wring out tightly & HNG TO DRY between uses for the best results! Note on Well Water: Because well water does not contain any chlorine, this may result in odor issues with any cloth, including Norwex cloths. For deep-cleaning toilet bowls use Norwex DeScaler: quickly pour a bucket of water into the toilet so the toilet will automatically flush down most of the water. Spray the built up area with DeScaler, let sit for about 2-3 minutes, then clean with the Sanira Brush. A good quality pumice stone (you can find “Toilet Pumice” made just for this purpose!) 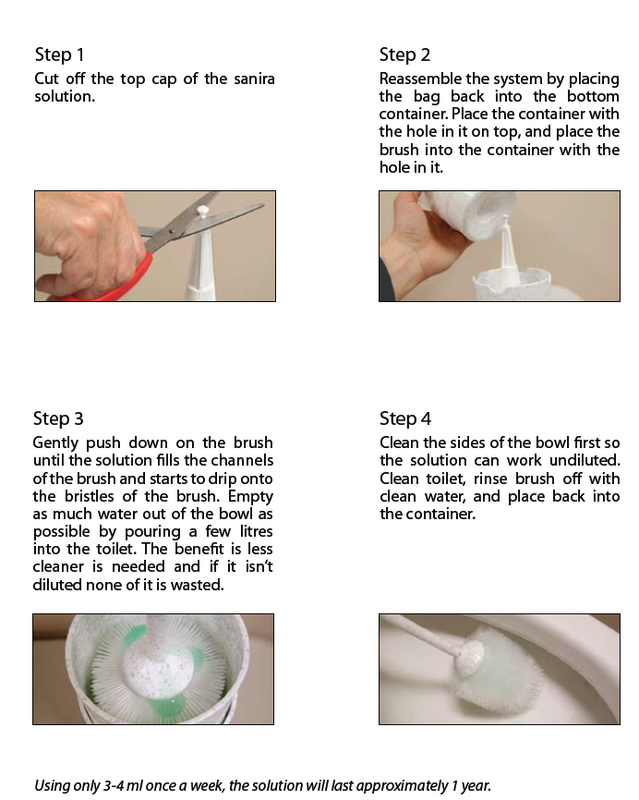 is also great at removing tough stains in the toilet and it won’t scratch the porcelain (see tips below). Another great use for the Norwex Magnet Ball is to place it in the toilet tank to soften water so that hard water stains are not left in bottom of bowl. For tough soap scum and hard water marks in your tub and shower or any other difficult job there are a number of things which work…some requiring more elbow grease than others but all effective. • Damp enviro cloth and some good old-fashioned elbow grease! • Cleaning Paste and damp enviro cloth, or damp kitchen or bathroom scrub cloth, or damp white dish cloth….a Spirisponge can be wonderful to get “gunk” out of shower door tracks. • Descaler and damp enviro cloth, blue kitchen scrub cloth or white dish cloth (amazing elbow grease in a bottle)….wet shower or tub, spray Descaler, wait about 3 minutes, wipe away easily with enviro cloth, blue kitchen scrub cloth or white dish cloth, then rinse. Use caution on grout around tiles…a few people have had concerns with staining and I’m not positive if they have left it on too long or whether it is an issue of some grout being unsealed vs. sealed. For top load washing machines where no water softener is present, the Magnet Ball can trick you water into behaving much softer than it is. Place it in bottom of washing machine, where it can stay permanently or can be used between dishwasher/ washing machine/ bathtub. You now cut the amount of laundry detergent used in half. Water molecules are changed so that they behave like soft water and your detergent works so much better. With a bag of Norwex laundry detergent you would normally get 40 loads from one bag in an area of hard water. With the magnet ball you will now get 60-80 loads from that same bag! Note: do not use the magnet ball in a front load HE machine….it is not necessary and the drum spins so much faster you could damage a wing. In your dishwasher: place magnet ball in bottom over a rung so it stays in place- and allow it room for water to pass by it (i.e. not covered/blocked by dishes!). Use 1-2 teaspoons of Norwex dishwasher detergent; no rinse agent (i.e. Jet Dry) is needed (but vinegar can be used if desired). Dishes and glasses often come out sparkling and clear without the need for chemical rinse agent sprayed all over them. To clean the hard water spots off your glass shower door, spray DeScaler evenly over the glass. Let set for 3-5 minutes. 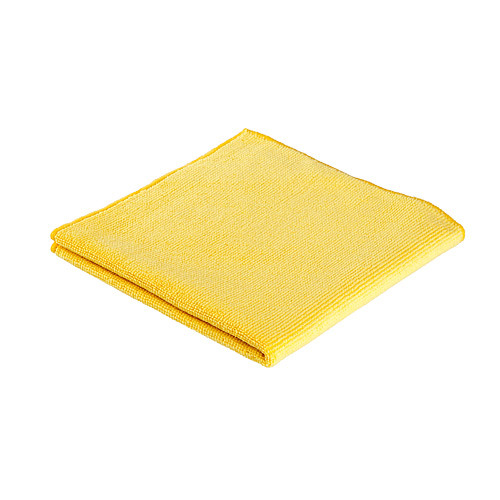 Wipe off with your bathroom scrub mitt, followed by the dry window cloth. Sparkly clean! Any cons or downfalls of this product? Well, this stuff does not smell the greatest (quite unlike the Sanira solution, which smells lovely! ), but not terribly offensive. The DeScaler used to be a brown, ugly color, but the new clear formula is fantastic! If you let it dry on, you won’t be able to easily wipe it off except by spraying it down again… so make sure you don’t wait too long to wipe it off the surface. And on the subject of toilets… I’m told the DeScaler works well on lime build-up in toilets, as well. People in our area complain of “the pink ring” in tubs and toilets. 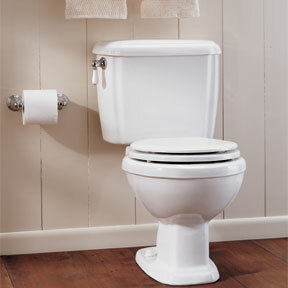 I find that the Sanira toilet system solution does a great job getting rid of the it. But at our house, we also have a bluish ring just at the water line that seems to have become part of the porcelain… I don’t know what this is from, but so far I’ve found nothing (toxic or otherwise) that will take it off. I did have one customer who was trying to remove long-term hard water build-up from the textured side of her shower door, and reported that she wasn’t able to cut through it with the descaler. Standard oven cleaners contain lye and petroleum distillates and come in aerosol containers. None of this is good for your health…and certainly not good for the environment. Standard oven cleaners carry a health rating of 3, which means they cause serious health effects and they are known to cause burns to skin, eyes, mouth, throat, and even stomach – on contact! Overspray has also resulted in permanent damage to flooring and countertops. Norwex Oven and Grill Cleaner carries a health rating of 1, comes in a pump (which sprays very eff ectively, resulting in less use of product), and is also much friendlier from an environmental standpoint due to its ingredients and packaging. The primary active ingredients are enzymes and bacteria which do an amazing job of naturally breaking down baked-on fats, oils, greases, proteins, and carbohydrates. Simply heat the oven to 100 F, apply, wait for 5 minutes, and wipe with an Envirocloth. Really tough spots may require a second treatment and/or scrubbing with a Spirisponge. Use of gloves is recommended…as this cleaner is amazingly effective, and prolonged contact could result in some skin irritation. I have had absolutely amazing results with the Norwex Oven & Grill Cleaner! Within 10 minutes, from start to finish, my oven was spotless WITHOUT the mess and fumes. My oven and racks look like new – I have never had it so clean! This was a whole new experience with a very positive outcome!